NORCROSS, Ga. -- A Gwinnett County SWAT team responded to a scene on Monday. 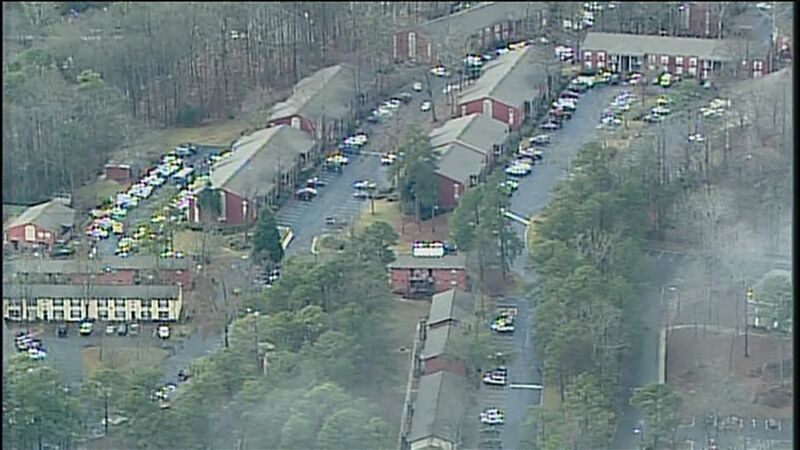 According to Gwinnett County Police, the incident happened at the Sienna Heights apartments on Graves Road. 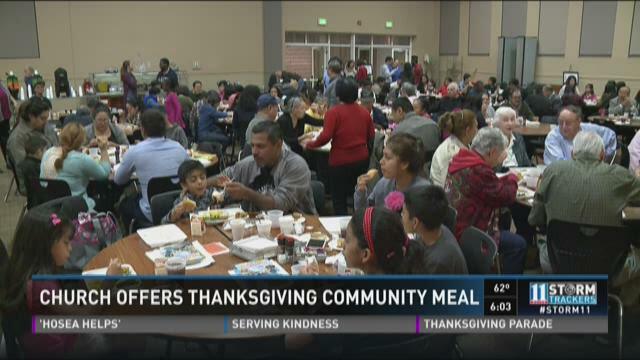 NORCROSS, Ga. -- Hundreds formed a line inside Campus Church of Christ Thursday for a free meal offered to everyone and anyone in the community. Minister Dusty Rush offered a prayer for the food in English and then had two others do the same in Spanish and Vietnamese. NORCROSS, Ga. -- A woman is dead and another injured after a stabbing incident in unincorporated Norcross, Monday. The Gwinnett Police Department said in a statement that the incident happened around 3 a.m. at Oakbrook Pointe Apartments in the 1600 block of Pirkle Road. Police said that the incident originally involved a man and one woman but escalated to involve two women when another in the apartment heard yelling. When she left her room, she saw Alfredo Hilario Allen, 40, stabbing Erin McKinney 25. When Allen noticed the other woman, he began stabbing her as McKinney fled to hide in a closet and call 911. Allen then followed her and police said, at some point she stopped talking to the dispatcher. GWINNETT COUNTY, Ga. -- Authorities in Gwinnett County hope that you can help them track down two armed robbery suspects. Investigators believe 27-year-old Arquial Dotson was one of two men who allegedly robbed two victims in the parking lot of a Norcross apartment complex on Oct. 7. Police said one of the victims was pistol-whipped. NORCROSS, Ga. -- Residents of more than 30 mobile homes who were evacuated in Norcross due to rising floodwaters Monday afternoon, were able to return home Monday night. According to Gwinnett County Fire officials, 20 people were forced to leave their homes in the Jones RV and Mobile Home Park on Willow Trail Parkway off of Indian Trail Road. NORCROSS, Ga. -- Voters in Gwinnett County will decide on Tuesday if they want to continue a one-cent tax they've paid for the past five years for education. School officials say keeping the tax is crucial to the future of the state's largest school district. Not only is it largest in Georgia, Gwinnett County is the 13th largest district in the nation and growing. With growth comes growing pains. NORCROSS, Ga. -- Police in Gwinnett County are working to uncover more details in a shooting near Norcross Saturday afternoon. Authorities said in a statement that the incident happened at building 6 of Wesley Park Apartments in unincorporated Norcross. When officers arrived, they found a victim had been shot during what is believed to be a robbery. The victim was taken to Gwinnett Medical Center with injuries not believed to be life-threatening. Investigation into the incident continues.